God is a good God. REJOICE! Praise His name! Hopefully during the 40 Day Prayer journey you have repented from the things that displease God. I pray that you have strived to rise spiritually in study of the Word, in love for God and others,in faith, in walking in the Spirit and have increased in your personal and corporate prayer life. 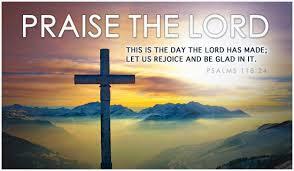 •	REJOICE!! !——–This is the last day of the 40 Day Prayer Journey (Technically there are 46 days this year until Resurrection Sunday). Rejoice that God, the Exalted One, gives us the privilege of celebrating and honoring His rightful place as the Almighty Lord and King of Kings. Praise God that His name is above every name and that at His name every knee will bow and every tongue will confess that Jesus Christ is Lord to the glory of God the Father. Hallelujah! Jesus is alive and is our soon coming King. Linda Fegins, “The Prayer Leader” serves as prayer leader and teacher/trainer on the “Prayer Boot Camp” with the Global Missions Prayer Force and as a guest intercessor and volunteer for Girlfriends Pray a global prayer ministry. She served as Prayer Coordinator for over 13 years( later Director over the Prayer Ministry) for the Lydia Circle Christian Business and Professional Women. As part of the Lydia Circle she has lead over a dozen prayer boot camps, and has lead prayer services and workshops in the Bahamas and in South Africa and was on the prayer team of a medical missions trips to Jamaica under the leadership of Rev. Jackie McCullough. 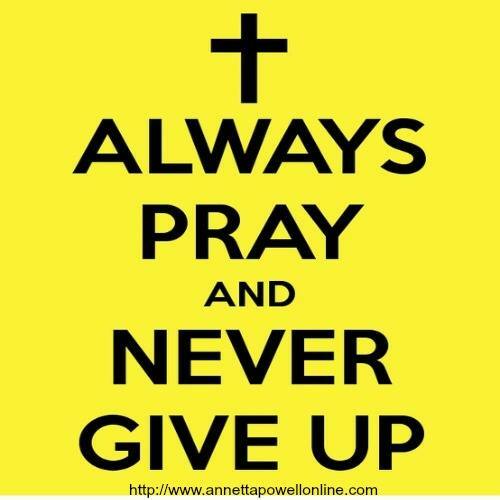 On this 38th day of this 40 Day Prayer Journey we thank the Lord for your perseverance. I pray that you rise spiritually to grow in the study of the Word and in a consistent lifestyle of prayer with fervency, power and love. You can have victory as Day 39 indicates. Dear LORD, do I really accept Your Word and live according to it regardless of circumstances, or do I only hold onto it as long as it is easy, convenient, or profitable? Do I pray for daily intimacy with you or do I run to you as a last resort ? Do whatever You need to do in me, for me, with me, or through me–even in spite of me–to make it so that I obey your Word and that I pray without ceasing 1 Thess 5:17. In Jesus’ name, Amen. •	Pray that God will give the church sensitivity to sin and a readiness to confess when and if that is needed. Do you specifically confess your sin to God? Think of a time when sin hampered your relationship with God. What did you do to restore the relationship? Spiritual Rise Act	Meditate on Psalm 51. Let the Spirit teach you important things about confession and restoration from the verses. Write a prayer of confession to the Lord. •	Praise God for the power and might that are in his hands, and that no one can withstand Him. 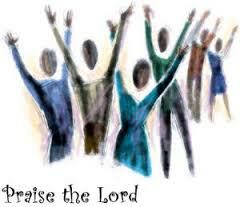 Spiritual Rise ActDedicate an extended time to praise this week. Meditate on passages like 1 Chronicles 29:10-13 and Psalm 145: 1-7. Write out your own prayer of praise. Adopt the rule of no asking or supplication for the first five to seven minutes of your prayer time. It’s Day 37 of the 40 Day Prayer Journey. Keep pressing in prayer and the study of the Word to enable you to increase in your personal and corporate prayer life. Meditate on the above scripture. Name three things about Elijah’s prayer life that made it effective. How will you rise to go about getting and doing what you need to do to improve upon your prayer life? 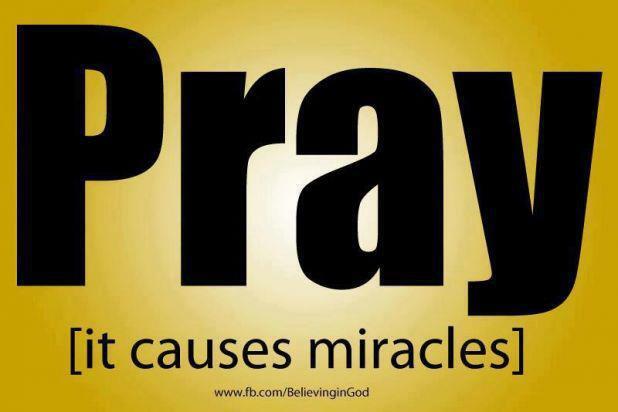 Before you make requests of God, ask Him what He wants you to pray for in each case. Then pause to listen for the Spirit’s prompt. Pray as lead by the Spirit. The disciples asked Jesus “Lord teach us to pray”. Those few words are powerful. Each of us should want to learn to pray more effectively and not amiss to gain greater intimacy with the Lord and pray His will for the Kingdom. We should seek to spiritually rise in our personal and corporate prayer life. 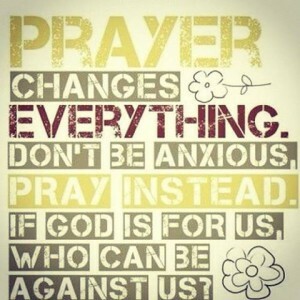 Let’s learn from the Word how to pray. Let’s look at Jesus’ prayer life. Below is Day 35 and 36 of the 40 Day Prayer Journey. Meditate on the Scripture and pray the pray points. Don’t neglect to do the exercise and to write your reflections and what the Holy Spirit pours into you in a journal. •	Pray for the Intercessory Prayer Team Ministry. Call them by name. Pray that they will effectively and boldly mobilize, lead, train and encourage others in individual and corporate prayer. If someone wrote a theme of your life would prayer be a key theme in it? Consider the area of your prayer life that most needs improving. Meditate on the scriptures about Jesus’ prayer life. Find three things He prayed for in the book of Mark. 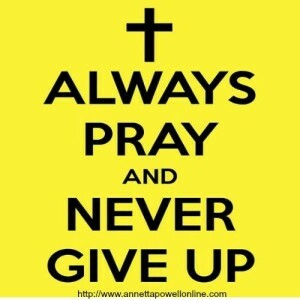 Now apply the three things or the Word to your prayer life where applicable. •	Confess to the Lord if you don’t like to pray for others or don’t pray for others and think it is boring. Is it because you don’t love them as you should? Confess that also. •	Pray for an increase in your ability to see the good in others, for a deep sense of care for the well-being of others and for confidence that your prayers will make a difference in their lives. •	Pray for your pastor . I pray for Pastor Littlejohn and Sister Cheryl. •	Pray for Governor Snyder, Mayor Duggan and the City Council.Pray for your govenor, city council and the mayor of your city. What kind of help with prayer do you most need from the Holy Spirit? 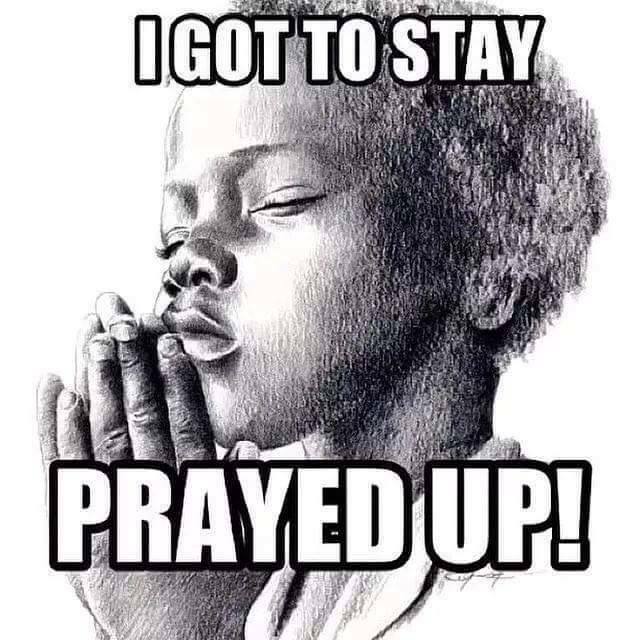 How will you rise to go about getting and doing what you need to do to improve upon your prayer life? Use most of your prayer time asking for things that you know will glorify God, build his kingdom and strengthen your spiritual life. Can you believe it? This is the Day 33 of the 40 Day Prayer Journey.Thank you for joining the 40 Day Prayer Journey. Begin right where you are and go back and start at the beginning at a later day. Hopefully you are examining your conduct and walk with the Lord , your prayer life and your study of the Word. Read the scriptures listed under the daily prayer focus. Answer the questions in your journal if there are any for the day and write your reflections. Meditate on the Word each day. Daily pray the prayer points for the day. Make an entry in your journal each day as lead by the Holy Spirit. Make sure you complete the “Spiritual Rise Act”. Go to the first day February 18 if you want to review the earlier statements about the purpose of this daily prayer journey to encourage each of us to rise spiritually. How do you think God feels when we don’t take the time to or put forth the effort to listen to Him? 	Can you think of a time when God spoke to you personally through the scriptures? By His Spirit to your spirit? Through circumstances? Learn to spend time each day quietly listening for God’s voice. Invite Him to bring thoughts to your mind from the Word or through the His Spirit. Test what you “hear” by the written Word of God. Have you been seeking to rise spiritually to grow in prayer, in service, in love and in obedience? Thank you for joining us if this is your first day on the 40 Day Prayer Journey. You may review prior posts of the journey. God Bless you. •	Repent of living according to the flesh and its desires rather than the Spirit of love and failing to demonstrate the fruit of the Spirit. Spiritual Rise Act	Again start each of your formal prayer times in the next week by asking the Holy Spirit to help you pray as you should. Pause to listen. Then begin to pray following the lead of the Holy Spirit rather than your usual pattern. •	Pray that the believers serve our community in ways that will soften the hearts of unbelievers to the gospel of love, grace and truth. •	Pray that your service would be a holy demonstration of Christ’s love, not self-serving in any way. 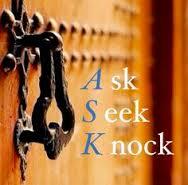 Ask God to reveal where you need to improve in showing a servant’s heart? What keeps you from serving or what excuses do you make for not serving at church, in the community or not helping your “neighbor”. Meditate on the scriptures above. Now think about what steps you can take to rise spiritually to demonstrate you are spiritually rising to have a servant’s heart. What areas can you serve in at church? What can you do in the community more or to assist your “neighbor”. Take a step of faith and do what the Holy Spirit leads you to do. •	Pray that families will be free from the destructive power of unforgivness. Thank you for joining the 40 Day Prayer Journey. Begin right where you are and go back and start at the beginning at a later day. Hopefully you are examining your conduct and walk with the Lord , your prayer life and your study of the Word. Read the scriptures listed under the daily prayer focus. Answer the questions in your journal if there are any for the day and write your reflections. Meditate on the Word each day. Daily pray the prayer points for the day. Make an entry in your journal each day as lead by the Holy Spirit. Make sure you complete the “Spiritual Rise Act”. Go to the first day February 18 if you want to review the earlier statements about the purpose of this daily prayer journey to encourage each of us to rise spiritually in the ways of Jesus. 	Think of a time when the sin of unforgiveness existed that it affected your attitude and your joy. 	Are you currently allowing the sin of unforgiveness to affect your attitude and joy? 	How should a parent respond to a child’s confession of wrongdoing? What kind of changes would come out of that? Meditate on one or more of the scriptures above. Let the Spirit teach you important things about confession, forgiveness and restoration from the verses. •	Pray that fathers will look to God as the ultimate spiritual head of their household, and serve their families by carrying responsibility for the physical, emotional and spiritual well-being of their wives. Pray that God will instill a vision of wholesome, supportive, fatherhood to all fathers. •	Pray for single people. Pray that Christ will protect them; that friendships and church fellowships bring ample fullness of healthy relationships; for wisdom to choose sexual purity and holy lifestyles; for marriage. Love 3 –Write a prayer for 3 persons who you have not shown appreciation for or for persons you know need encouragement. Take time to think of some other action you can take to build them, bring joy or to let them know someone cares. You do not have to reveal who you are to them until Easter. •	Pray that believers and you grow in grace, mercy and love to make an impact in the lives of others and in the world. •	Pray for the Health and Fitness Ministry. Identify the 9 fruit of the spirit stated in Galatians 5:22-23. Which of the fruit of the spirit do you need to improve upon in demonstrating them in your life? How can you rise in the spirit to reflect more of that fruit in your life? •	Ask God to give you the wisdom and will to increase your faith and to walk by faith . •	For God to rise up men and women of integrity, faith and love to places of spiritual and natural authority throughout the church and the city. •	Pray that congregations over the city would grow in the unity of the Spirit, love, peace, and purpose so that the world might see the power of God manifested when the church comes together in the love of Christ. •	Pray that all divisions, dissention and disagreements that keep the churches from walking together as the body of Christ cease and that forgiveness occurs. •	Pray for forgiveness where the body of Christ has failed to walk together and that by the power of the Holy Ghost that the body of Christ will be enabled and empowered to walk in the unity of the Spirit and in the bond of peace. •	Pray for every member of the body of Christ to discover his/her place and come into proper relationship with the other members within Messiah and in other congregations. This is day 21 of the 40 Day Prayer Journey. Thank you for joining us. God came to give us an abundant life that we could enjoy to the full. John 10:10 He wants you/us whole physically , emotionally and spiritually.That’s why Jesus Christ willingly laid down His life, died, and rose again. 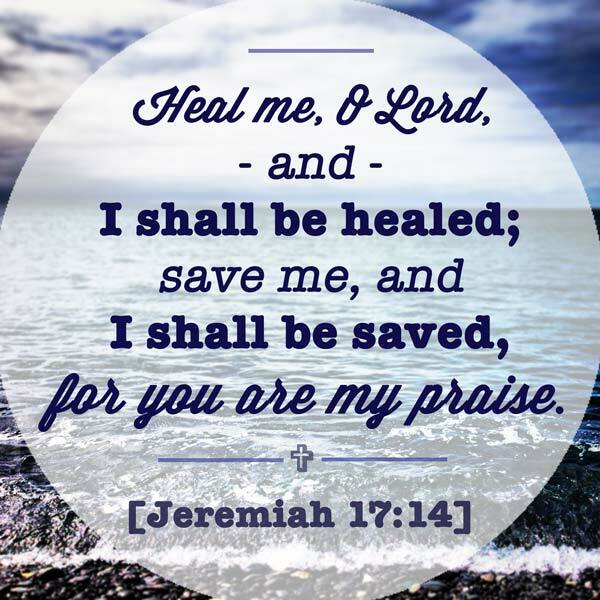 His sacrifice has provided the way for us to find and experience the health and healing as well as the restoration we need. 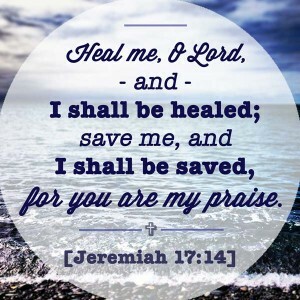 Therefore, let us seek to rise spiritually by seeking Jesus for health and healing.The Word is medicine to our bodies when applied consistenly in belief in God and the power of His Word. Proverbs 4:20 Take time to read the three scriptures, pray the prayer points and to do the exercise. Speak the Word over yourself or a loved one at least three times a day. •	Pray for persons with mental illness and for person who are suicidal or depressed. Begin to write a Personal Health Plan for yourself. Assess your health and write goals for yourself that are practical. They should be realistic to fit you and your lifestyle. They should be measurable standard in which you answer the questions: How? How often? How much? Make a time line for the implementation of your plan. 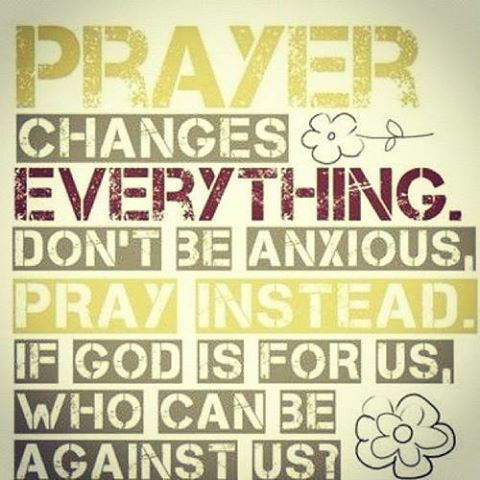 Pray and ask the Lord to guide you. Spiritual Rise/Natural Act: Ask God to give you wisdom and strength to take action to improve your health . Now make doctor appointments, set an exercise schedule and improve the kind of foods you eat. Are you fasting?